Pilots are requested as a matter of courtesy to Minute Man's residential neighbors to use the quietest possible safe operating practices. See our Noise Abatement Procedures. Minute Man Air Field (6B6) is a friendly, service-oriented field that caters to all types of fliers. Our fuel prices are consistently the lowest in the Northeast. 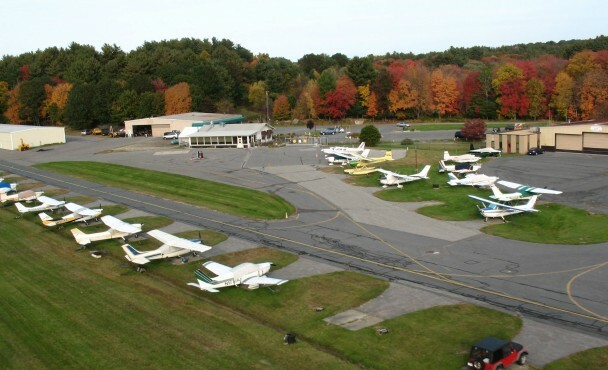 The flying culture at Minute Man is rich with frequently organized fly-outs, an active EAA Chapter, an annual open house, and a good old-fashioned “small airport” community feeling. Come try us out and see why we’ve been the number one choice in the area since 1969!